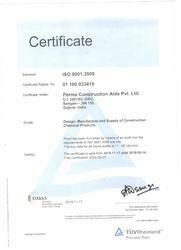 Perma Construction Aids Private Limited is incorporated in the year 1997, we offer a wide range of Construction Chemicals products all around the market. We are supported by a team of highly experienced professionals who help us in offering qualitative range of products to our clients. Our ranges include Bonded Agent, Strength Repair and Bonding Agent, Epoxy Concrete Bonding Agent and Structural Repair Products. We provide the customization facility and provide the products on high quality bases. 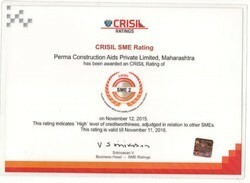 We are accredited as ISO 9001:2008 certified company with a rating of ‘SE - 1A’ by CRISIL. We maintain high standards in the quality of the products. Our exporting countries are Sri Lanka, Maldives, Nepal, Bangladesh. Our products are safely packaged to ensure that these products are free from damage while transferring. Our range of construction chemicals is exclusively used in the civil engineering industry. Our list of customers already includes many prestigious Governments, Semi -Government, Private Institutions, Builders, and Contractors etc. Being a quality conscious organization, we are exporting a superior range of products. These products work efficiently and widely used by our clients. These products are easily available in the market at cost effective prices. 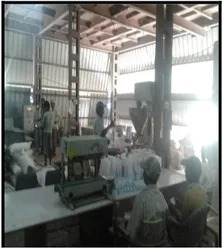 Our well-developed product research facilities as well as services of experienced team also allow us to deliver these in formulation effectiveness as demanded by the customers. 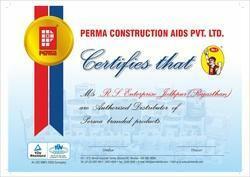 Client Satisfaction gives highest priority by our company. 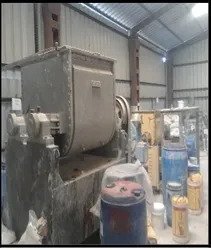 Being a client based company; we never compromise in providing products .We understand the requirements of the customers made our organization successful in the market. Our quality specialists check our range of products on the numerous limitations to assure its quality. We also maintain international quality standards to process our products and which meets the requirements of the customers. "Perma the name has been coined to signify Permanence. 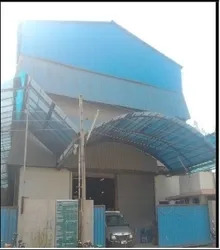 The objective of the group is to offer Permanent Solutions to the construction industry through state of the art construction chemicals"
PERMA products are available in our neighboring countries through our exclusive distributors and their dealers. 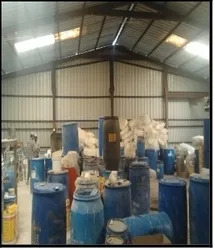 Company is in the process of developing their construction chemical market in all SARC countries.